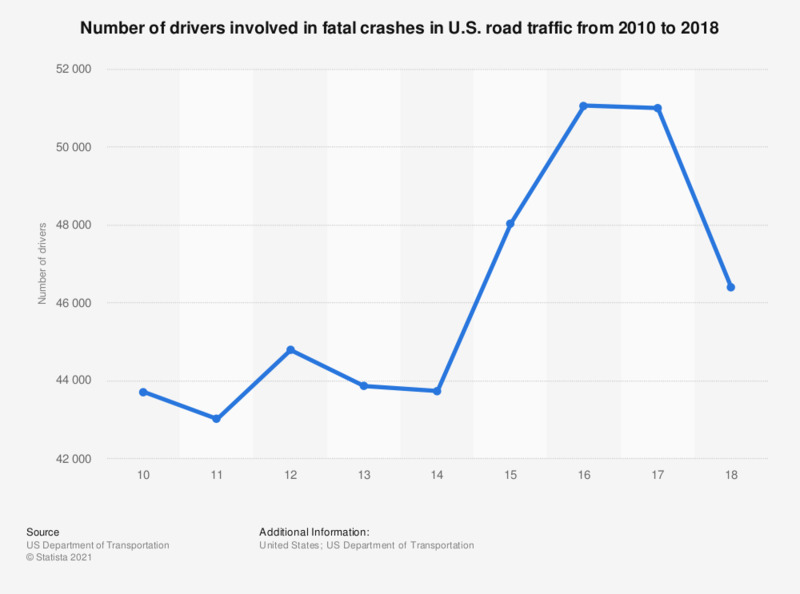 This statistic represents the number of drivers holding a valid driving license who were involved in fatal crashes in U.S. road traffic from 2010 to 2016. In 2016, almost 52,000 licensed drivers were involved in fatal crashes on U.S. roads. Male and female drivers > 15 years old. The figures for years prior to 2016 are taken from previous editions.